Raising children is never easy especially with first born kids because parents often feel unprepared. When one of the parents could not cope with the stress, they simply walk out leaving the kids with their partner. Here are some tips to promote effective parenting to allow you to enjoy more fun time with beloved kids. 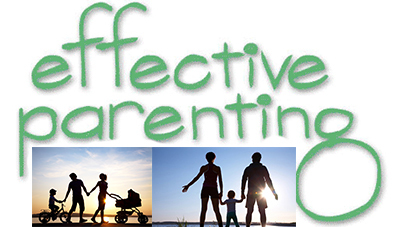 But first things first, effective parenting generally refers to the responsibilities of raising and providing basic necessities to children to prepare them to face the adulthood later in life. Parents must spend a great deal of time communicating with their children to show their warmth and love. They must be sensitive to the kids’ feelings and show full support when needed. Children will interpret every small detail including the way their parents’ talk and touch the kids. Though it is best to shower the children with endless love and tenderness, parents must be fair in their disciplinary action against the kids. Punishment is important to teach the kids but at the same time, parents must give them a clear definition on their mistakes. Be consistent with the punishment. Explain what is acceptable and unacceptable to the children. Only enforce family rules and impose punishment when the children fail to follow the rules. There are times when children request finer things from their parents. Always remember not to give in easily to the children’s demands unless you have promise them earlier. Try to get involved in their lives as much as possible especially when it comes to education and their circle of friends. Get to know what’s happening in their lives but that doesn’t mean you have the power to be controlling and possessive. Parents often spot their children’s mistake. Instead of punishing them for every little mistake, catch the kids when they display positive behaviour. Praise and award them when they behave positively. Be a good role model to your children by showing positive characteristics such as independent, confident, and socially responsible. To be consistent in your disciplinary actions against the kids does not mean you have to follow your parenting style strictly. Be flexible and change accordingly for the best of your children. Instead of showing your kids that parents are superior, treat them as adults and provide guidance and encouragement to allow you to make a connection with the kids. Now that you have learnt some of the secrets to effective parenting, make a change to connect with the kids.